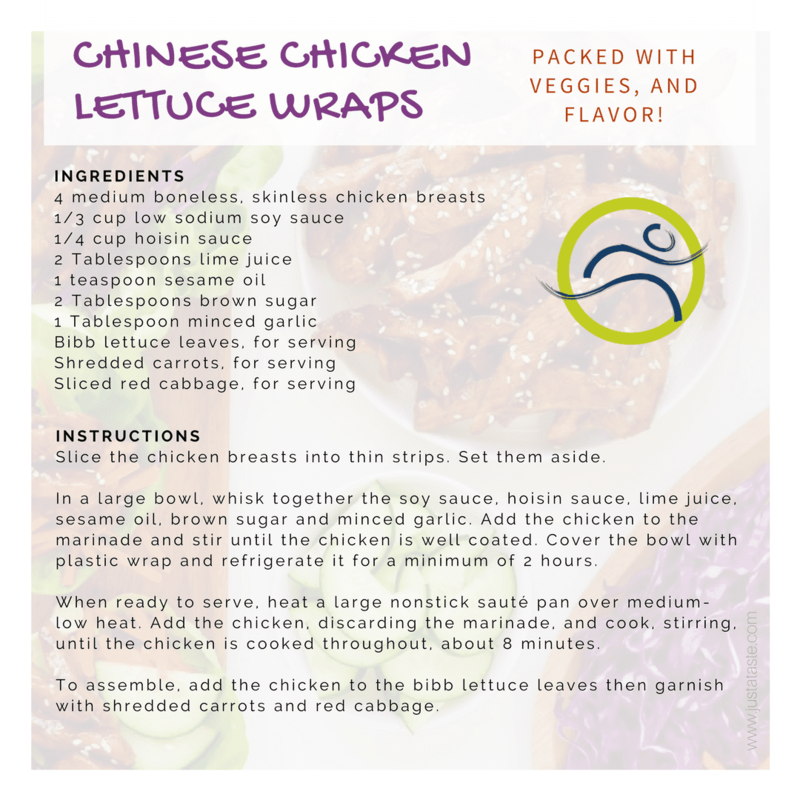 This chicken lettuce wrap is full of flavor, served with extra veggies, and makes dinner so fast! 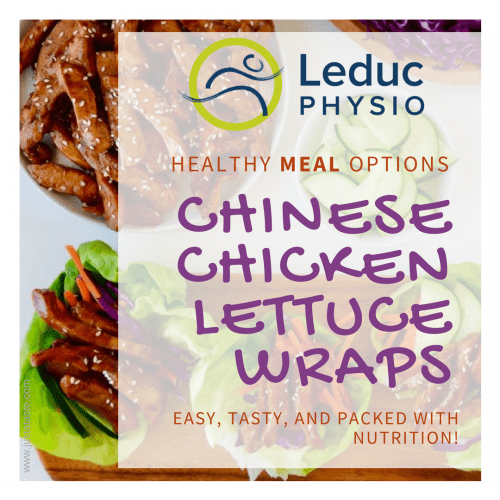 Simple ingredients make a delicious marinade for your chicken, served in a lettuce wrap and a bunch of extra veggies makes this wrap so good for you! You could add even more vegetables, or rice, for a stuffed-to-the max wrap. Let us know what you think of this recipe! Snap a photo and tag us @leducphysio. We want to see your culinary skills at work! Subscribe to our newsletter for more delicious recipes, fun contests, and useful articles!